The needs to assess robust performances for complex systems and to answer tighter regulatory processes (security, safety, environmental control, health impacts, etc.) have led to the emergence of a new industrial simulation challenge: to take uncertainties into account when dealing with complex numerical simulation frameworks. Therefore, a generic methodology has emerged from the joint effort of several industrial companies and academic institutions. EDF R&D, Airbus Group, and Phimeca Engineering started a collaboration at the beginning of 2005, joined by IMACS in 2014, for the development of an open-source software platform dedicated to uncertainty propagation by probabilistic methods, named OpenTURNS for open-source treatment of uncertainty, Risk ’N Statistics. OpenTURNS addresses the specific industrial challenges attached to uncertainties, which are transparency , genericity , modularity, and multi-accessibility. This paper focuses on OpenTURNS and presents its main features: OpenTURNS is an open- source software under the LGPL license that presents itself as a C++ library and a Python TUI and which works under Linux and Windows environment. 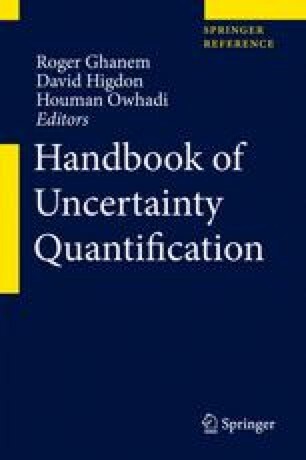 All the methodological tools are described in the different sections of this paper: uncertainty quantification, uncertainty propagation, sensitivity analysis, and metamodeling. A section also explains the generic wrappers’ way to link OpenTURNS to any external code. The paper illustrates as much as possible the methodological tools on an educational example that simulates the height of a river and compares it to the height of a dike that protects industrial facilities. At last, it gives an overview of the main developments planned for the next few years.